Your feet literally are the foundation for your life. Yet we often neglect both their importance and their need for care. 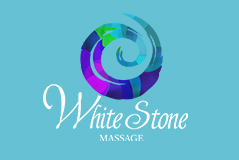 With special massage techniques blended with reflexology this treatment will reduce any tension throughout the body as well as optimize nerve responses and increase circulation. The foot has reference or reflex points that can affect the entire body. Issues such as upset stomach, neck pain, shoulder stiffness and so on can all be helped through the treatment of your feet. It has endless benefits and feels fantastic. A guarantee you will feel completely revived and grounded when you leave!